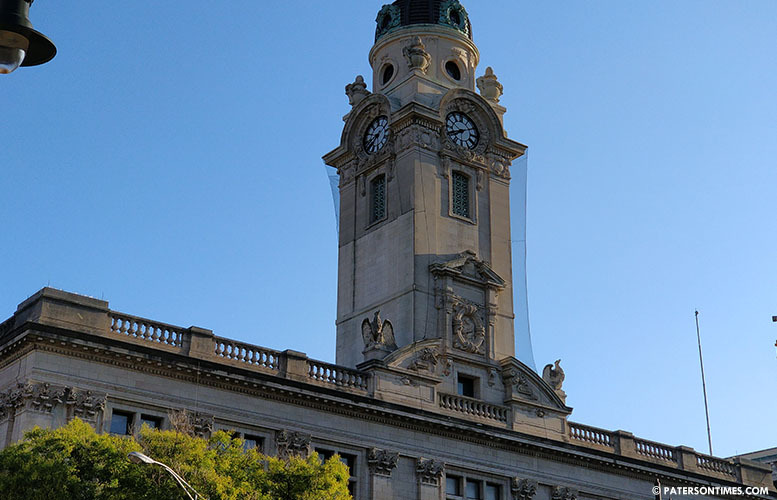 The city council rejected a temporary spending measure early Wednesday morning raising the possibility of a government shutdown in the coming weeks. Council members, in a 4-5 vote, rejected the $23.27 million temporary budget at 1:05 a.m. that was presented by acting mayor Jane Williams-Warren’s administration. This amount is to fund the government for a part of January and February. Some cited the more than two-percent tax increase in the introduced budget to oppose the temporary measure. Since the start of the 2018 fiscal year in July, the municipal government has been funded through a series of temporary budgets. At the end of February, the city will have spent $174.47 million. At this rate, the city will have backed into the $279.52 million introduced budget, according to council members. Council members approved the introduced budget with re-assurance from the administration there would be significant cuts prior to final adoption. “There’s a significant tax increase coming,” said Kenneth Morris, councilman at-large, chairman of the finance committee. The administration is increasing the municipal levy to $155.22 from last year’s $151.37 million. The council has repeatedly demanded the administration make spending cuts. Early on in the budget year, Morris told administration officials to shave every departmental budget by 20-percent. “It really hasn’t happened,” Morris said of spending cuts. Finance director Marge Cherone told council members spending is being driven by labor contracts, health benefits, liability insurance, and workers compensation. She told council members this, fourth temporary budget, could very likely be the last temporary spending measure before the final budget is presented for a vote. A final budget is not possible without a financial assistance figure from the New Jersey Department of Community Affairs (DCA). Last year, the city received $25 million; this year, the city is seeking $27 million. Cherone also told council members the city is on track to switch to the state health insurance plan by October 2018. She reckoned it will produce $4 million in savings in hopes of securing a swift approval for the temporary measure. Maritza Davila, councilwoman at-large, who is running for re-election, said she could not support a tax hike on homeowners by approving the temporary budget. She was joined by council members Michael Jackson, Alex Mendez, Luis Velez, and Morris. Council members Shahin Khalique, William McKoy, Andre Sayegh, and Ruby Cotton voted in favor of temporary budget. The city has funds left from the previous temporary budget that was approved for December and January. “Let’s try to get through January,” said Cotton. Cherone said the city needs the additional $360,140 in appropriations to cover the next payroll. The council does not meet again until Feb. 6, 2018. “We can’t be open without a budget in February,” said Cherone. The city has in the past averted government shutdowns by approving a spending measure at a special or an emergency meeting. Morris predicted the same pattern is likely to hold.